The indigenous Virgin Islander, who will be 71 years of age at the end of her tenure, announced she plans to retire by August 31, 2016 from her post. The Government retirement age is 60. Mrs Archibald, whose professional qualifications are in Christian Theology with two Master’s Degrees, one in Religion and the other in Divinity, would have served as the Virgin Islands’ 5th Deputy Governor after the post was created in 1977. 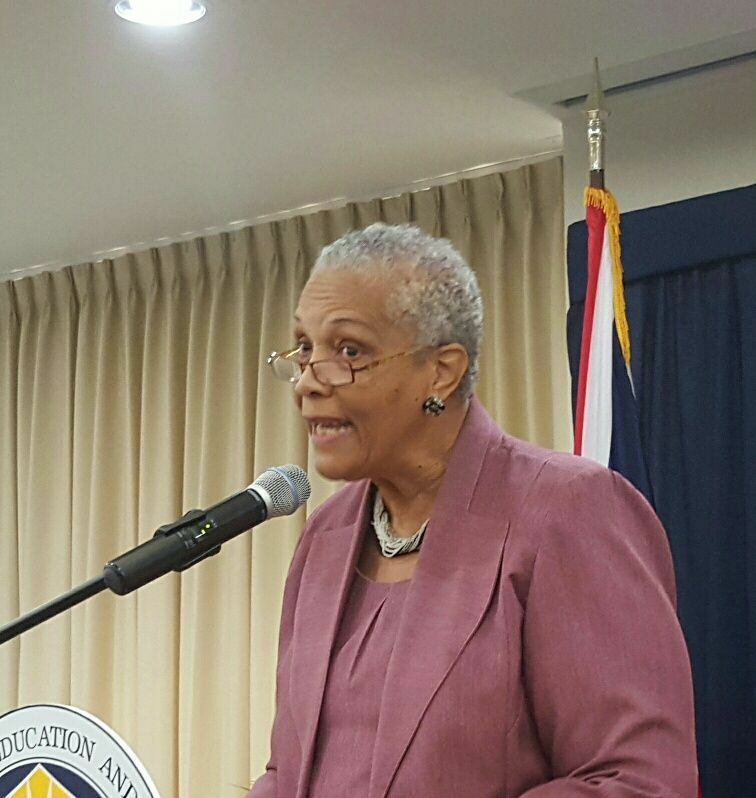 According to a Government Information Service (GIS) press release issued late Friday February 26, 2016, Mrs Archibald shared her retirement information at a Heads of Department meeting to an audience of senior managers, heads of departments and senior public officers. Mrs V. Inez Archibald was appointed as Deputy Governor by former Governor David D. Pearey on September 15, 2008 for a period of three years. Her appointment was extended for six months from September 15, 2011 to March 15, 2012, then again, for two years effective March 16, 2012. Another extension was granted from March 16, 2014 to August 31, 2015, and then again on September 1, 2015 until August 31, 2016. Section 38 (1) of the Virgin Islands Constitution Order outlines the functions of the Deputy Governor. The Deputy Governor also assists the Governor in the exercise of his or her functions relating to matters for which the Governor is responsible for under Section 60 of the Constitution. Many of her critics have claimed that the service from around 2009 under her tenure had begun to deteriorate in terms of morale, standards of service, quality and qualifications of senior management and that the service is now a political body. They claimed that in the early days of the service persons, even senior officers, were appointed because of ability, talent and not politics. However, since the 2011 General Elections that saw the National Democratic Party (NDP) took power “anything goes in the service. 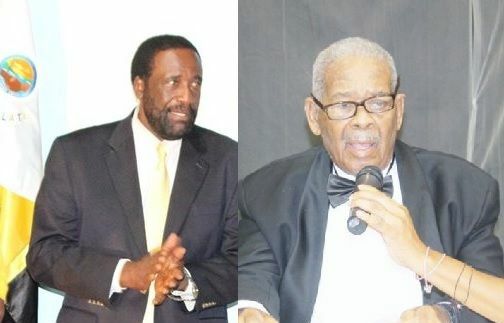 An example is that you do not have to have a first degree even to be a Permanent Secretary, something that is not best practice any place else in the Caribbean civil service or internationally,” a senior public officer told our newsroom. Many have also said that Mrs Archibald could go down in history as one of the worst Deputy Governors to hold the post. She presided over a civil service that saw a series of political appointments at all levels of government simply based on party loyalty and support, as well as many civil servants being allegedly abused, fired, transferred, forced to retire and others made to act in posts for long periods of time. Between 2012 to current many civil servants were illegally fired, forced on leave and denied promotion based on politics. Many of them, including police officers, sought justice at the courts and for the most part have won their cases. Former Premier of the Virgin Islands Ralph T. O'Neal OBE and former Permanent Secretary Julia Christopher declined to comment on Mrs Archibald’s announced plans to retire when contacted, while former Minister for Communications and Works and former Second District Representative J. Alvin Christopher said he would comment at a later time. However, Opposition Leader and Third District Representative, Hon Julian Fraser RA said: "I note the choice of words used by the Deputy Governor in her announcement, such as: "plans to conclude" her services as Deputy Governor by August 31, 2016. And given the history of her contract and the many extensions over the 8 years, any comments I may make [are] very likely to be premature, so I think it best to wait and see if anything changes,” Hon Fraser stated. The Deputy Governor also assists the Governor in the exercise of his or her other functions, being functions in exercise of which the Governor is not obliged to act in accordance with the advice of any other person or authority. The Department of Human Resources will issue a vacancy notice advertising the post of Deputy Governor, the GIS press release concluded. Who need any comment from former politicians, especially former Minister of Communications and works? once its not bow tie he is worst than her! News flash! It may be bow tie!!!!!!! lol, lol, but who is walk-a-ton? it's long over due she should have gone long time! I dont care what VINO post or what the bloggers say, she was the best DG ever. She had the service hopping. Civil Servants did not like her for she demanded they produce. You are 100% right. People in Civil Servant position is the worse. Look yourself in the dam mirrow and you know in your heart of hearts that is a big lie…trying sleeping tonight after typing that Bull crap mehson..
DG positions should be non partisan positions and persons serving in these positions should be fair and equitable in their administration of that office. Persons serving in these positions has an obligation to and owe their loyalty to all residents, not to the party they support. It was a pleasure for me to have worked with Mrs Archibald at the Legislative Council, now HoA, when she was Speaker of the House. Mrs. Archibald is a no-nonsense person who strives for perfection, and most people don't like her because they just want to produce mediocre work and collect their cheques at the end of the month. I learned a whole lot from her. The confidence in the DGO has been shaken we need new blood! She cant handle the Governor like how she want?? Leadership is a process of learning, training, adapting, communicating, and adjusting. A good leader is both a good teacher and a good student. A good student is receptive and humble enough to learn from their team, listen to their ideas, and is able to utilize their strengths in a synergistic manner to achieve a common objective. A good teacher has the responsibility to train (offer their team [staff] every opportunity to advance their skills and knowledge, and support fair promotions within), to equip them with the necessary resources, help to empower and unify their team centered on the shared vision-mission of the institution. If this "Civil Servant" has accomplished their duties with impartiality and "devoid" of fear tactics and victimization to accomplish objectives, then her service to the people should be well recognized. It’s a pity that her legacy will be help turning the civil service into a political body beholding to the NDP and not the principle of supporting the government of the day! Her friend Icis Malone retired too, I thought she would have stayed at Scotiabank till she 80, and the bank didn't even have a function for her, what that says?